Just a quick post today as I couldn't not say anything about this Candle! I bought this candle last weekend from wait for it... Sainsbury's! While doing some food shopping I came across this candle and loved the smell of and it was only £4, bargain! The smell of this candle is so nice its a sweet vanilla smell but not at all over powering, I left it burning in my room for an hour and already it left a lovely smell. In an odd way it leaves your room with smell that feels warm and homely :) Next time you are doing your weekly shop I highly recommend checking this candle out I will be buying another when I am next there. I think the smell pay off ( that sounds odd) is better than some more expensive candles I have tried, and is a steal at £4. 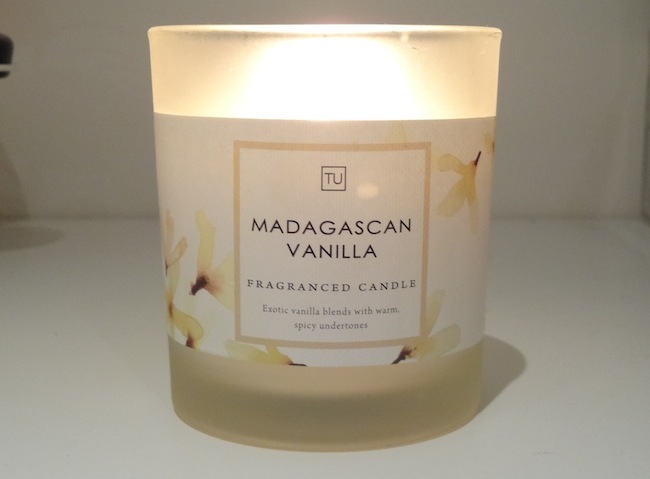 love love love vanilla, this would be my dream flavour candle. this looks lovely, was flummoxed when i saw the price! amazing, must definitely try and hunt down a sainsbury's near me. i love candles but find the really cheap ones don't smell too good/don't last and the expensive ones are just out of my price range. I recently bought the room spray in this scent, it's gorgeous! Nails Inc Event and New Releases! New Video: What's in my bag? My First Ever Youtube Video!